Students today face many problems and feel lack of proper guidance - There are problems with growing up, facing peer pressure, bullying in the class, career selection, concentration issues, sexual abuse, family trouble and many more. With no proper guidance students develop wrong habits, are unable to manage emotions and loose their ability to relate to others. In the classroom setting, these can lead to poor behaviour, attention deficiency, lower grades along with increased incidences of depression.We need Students to grow into balanced, progressive individuals. 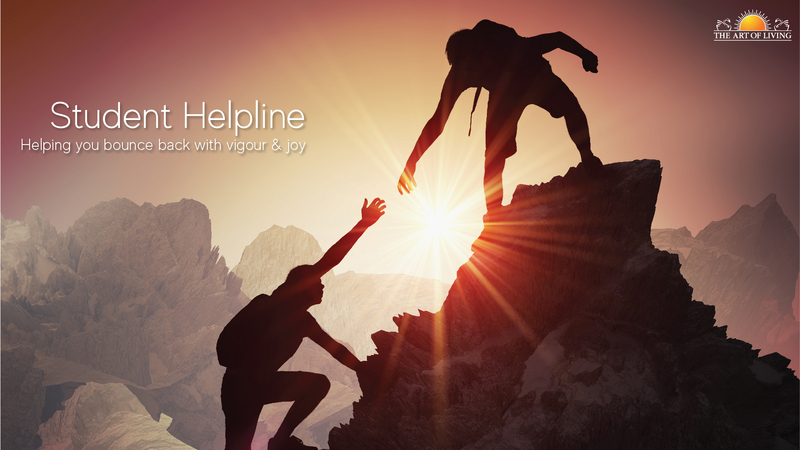 The Art of Living Helpline Team consists of trained individuals who provide step by step guidance and set of tools for making a child cope with fast changing circumstances and help him/her to bounce back with vigor and joy. © Copyright 2018 - 2019. Sri Sri Ravishankar Vidya Mandir Trust, Bengaluru.